Few things will make you want to return inside faster than having mosquitos or other insects flying around, causing you grief. 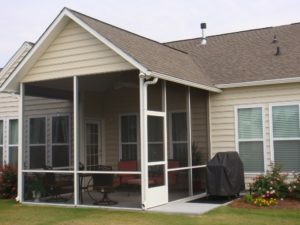 Fortunately, our screen porches are built with high-grade fiberglass screens that will block all sorts of bugs, including no-see-ums, allowing you to hang out in your screen room in peace. Sometimes, it can be nice to spend time outside on a warm day, but there’s also a point at which it’s simply too hot to want to stay outdoors. 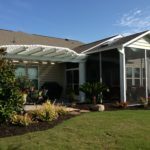 In these situations, you’ll be glad to know that our screen porches are built with high-performance thermal roofs that keep the enclosed space significantly cooler. This way, you can comfortably use your screen room more during the otherwise sweltering summer months. What Type of Screen Room Do You Want for Your Home? Rather than installing some kind of one-size-fits-all enclosure, Express Sunrooms will construct an addition that satisfies your personal tastes and functional preferences. Our team will walk you through the various screen room colors and textures we offer, providing you with any expert design support you require. 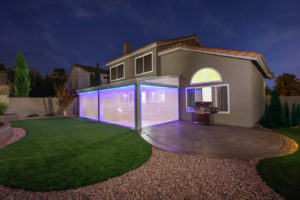 You’ll also have the opportunity to decide between a full-screen enclosure, which would maximize your view, and a kick-plate enclosure, which would do a better job of keeping out dirt, grass clippings, and other debris. 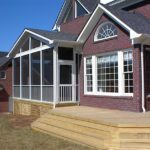 However, no matter which of our screen porches you select, you’ll have the option of fully enclosing the structure in the future, turning it into an insulated glass sunroom if you ever decide you want complete protection from outdoor elements. 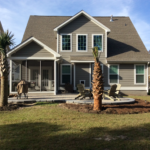 Contact Express Sunrooms today to learn more about our screen porches and receive a free price quote on any home upgrade you have in mind. CLICK HERE to learn about LifeRoom… where state-of-the-art technology meets total comfort!